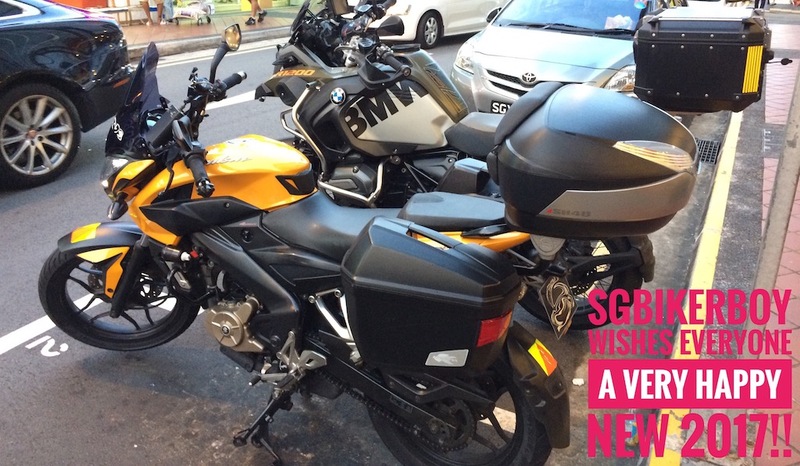 2016 was a year of new experiences – new license class (2B), new (pre-owned) motorcycle, first road trips (on a bike), new website (sgBikerboy.com! ), and some many new friends made! Here’s wishing everyone a Very Happy New 2017! And may the new year bring about brand new experiences to all too!